Up and coming Ratanakiri is making a name for itself as diverse region of outstanding natural beauty that provide a remote home for mosaic of minority people. 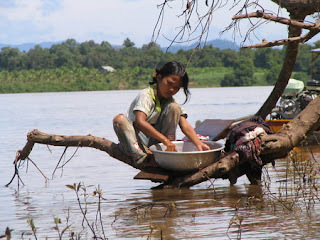 The Jarai, Tompoun, Brau and Kreung are the Khmer Leu (Upper Khmer) people with their own languages, tradition and customs. 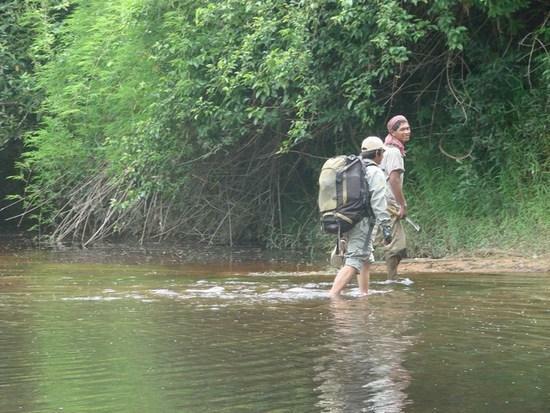 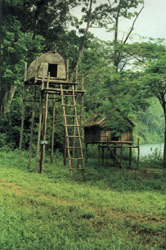 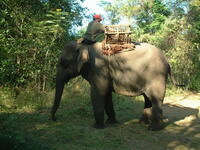 Ban Lung provides a popular base for a range of Ratanakiri romps. It may look like autumn all year round, but it's just that the leaves, like everything else, are cloaked in a blanket of dust. 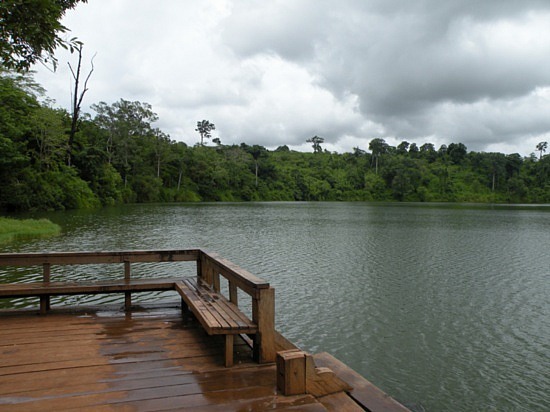 Yeak Loam Lake is a beautiful blue crater-lake set amid the vivid green of the towering jungle, and 5km south of Banlung. 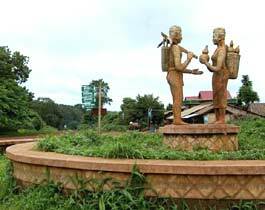 Kachang waterfall is 6km northwest of Banlung. 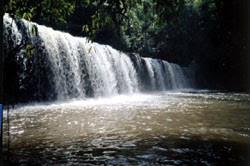 O' Sin Laer waterfall (7 steps waterfall) is a popular waterfall with seven gentle tiers, located about 35km south of Banlung, but the trail to get here is tough at any time and pretty much impossible in the wet season.